The research opportunities and needs related biochar are large. Much international activity has taken place on biochar research since the world’s first biochar related conference took place in Australia in 2007. There is now an extensive database on previous conferences and a very active international biochar conference calender. 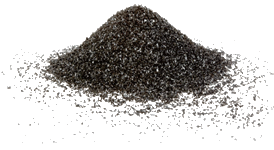 The IBI research bibliography contains over 1000 biochar related items and is growing fast. Their list of research institutes working on biochar is also impressive. It would be interesting to see a short summary on the chronology of biochar research in New Zealand. I think it would be fair to say that it has not always been a collaborative journey between the research institutions (Op-ed!). This may say more about research funding structure in NZ than anything else? (and I had better not stray any deeper into unknown territory!). One interesting link NZ has with the origins of biochar is that the late Peter Read (Massey University Center for Energy Research) coined the “biochar” phrase back in 2005? Again, it would be nice to have this history archived somewhere. It would be great if this group could be a catalyst to pull the biochar research community together in a more collaborative way. I’m hearing that funding competition will always be a major obstacle. This sound like a great topic for the Research forum. We are going to need members of the research community to join us and provide guidance on how we can collaborate and contribute to research needs. As we get stronger, we can use this strength for advocacy work on research funding. Given any interest from the research community, we could have separate pages for various branches of research interest… somewhere for planned, ongoing and past biochar research activity to be high-lighted to the community, industry and government. Better understanding by these groups of your research interests and activities may lead to better support.